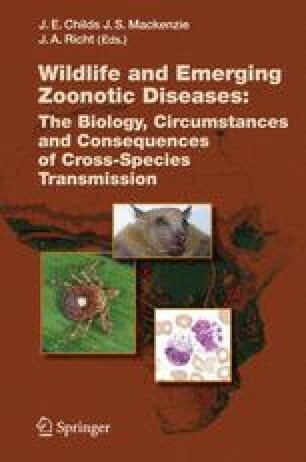 Two infectious diseases, and one presumably infectious disease, each vectored by or associated with the bite of the lone star tick ( Amblyomma americanum ), were identified and characterized by clinicians and scientists in the United States during the 1980s and 1990s. These three conditions—human monocytic (or monocytotropic) ehrlichiosis (HME), Ehrlichia ewingii ehrlichiosis, and southern tick-associated rash illness (STARI)—undoubtedly existed in the United States prior to this time. However, the near-simultaneous recognition of these diseases is remarkable and suggests the involvement of a unifying process that thrust multiple pathogens into the sphere of human recognition.